Description: Incredible! Fabulous kitchen!!! Location, curb appeal, condition! Yes this house has it all! Kitchen boasts upgrades normally found in more expensive homes, including granite,stainless steel appliances,glass tile backsplash, cooktop w/rising vent,vegetable sink/more! 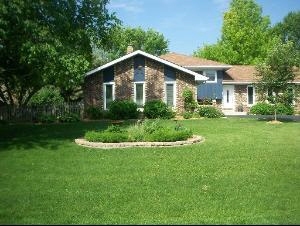 Liv rm & din rm offer hardwood floors; bathrooms are newer; furnace, h20,roof are newer; gorgeous big fenced yard! Fam rm with stone fp. Fabulous!! !